In a busy, whirlwind of a work week there is nothing more beautiful than taking fifteen minutes, thirty minutes, or an hour to sit down with a friend over a delicious, foamy cappuccino. Coffee dates are my mid-week meditation. I’m a big talker, so chatting with a friend as we sit down at a café or stroll with our coffees in hand helps me destress. It’s my go-to activity to catch up with friends I haven’t seen in weeks so we can chat about everything going on in our lives. Meeting with a business partner? Coffee dates are a comfortable setting to plan and set goals for the future. 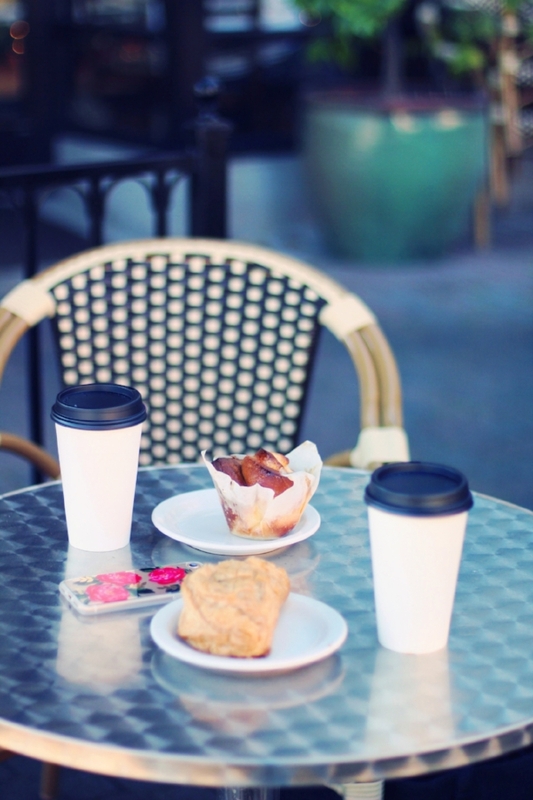 On a cozy weekend morning there is nothing better than having a little coffee date with your significant other. Slow, relaxing mornings are what life is all about. Why so obsessed? I’ll admit it - coffee has me hooked! While I am not the drip black coffee type of girl, I am the sugar-free vanilla non-fat latte kind. Oh and if it comes with impressive latte art, then you can be sure that I'll be returning with my best girlfriends. I’ll also admit that I'm somewhat of a coffee snob and because of this I decided to round up some of my favorite places for a more than decent cup of coffee inside the LA bubble. Slow down, take a deep breath, sip, and enjoy!